Home Opinions Why are crime reports turning into 'communal' headlines after a few days? Why are crime reports turning into ‘communal’ headlines after a few days? On Wednesday, a shocking case of robbery was reported near Farrukhabad in Uttar Pradesh. According to initial reports  dacoits decided to attack the Shikohabad passenger train and cornered a family travelling in the train. They proceeded to assault the family and stole all the jewelry and cash which the family was carrying and even misbehaved with the women members of the family. The family was reportedly returning from a wedding ceremony. According to the GRP of Farrukhabad, a group of young men (the suspected dacoits) as well as the victim family had boarded the train at the Bhongaon station. The family got into altercation with this group after elbow of one of the guys reportedly brushed a woman member of the family. The guys then used their mobile phones to call up their ‘friends’ and over a dozen goons arrived, who collectively proceeded to rob the family. All the criminals then proceeded to disembark and flee from the train by pulling the chain near Nibkarori station. Eight members of the family were injured in this robbery and assault, and were admitted to a hospital for treatment after the train stopped at Farrukhabad station. The injured included Mohammad Shakir, his wife Ashia Begum, their two kids and other members of their extended family. Following the ordeal, Shakir filing a police complaint about the robbery and assault. 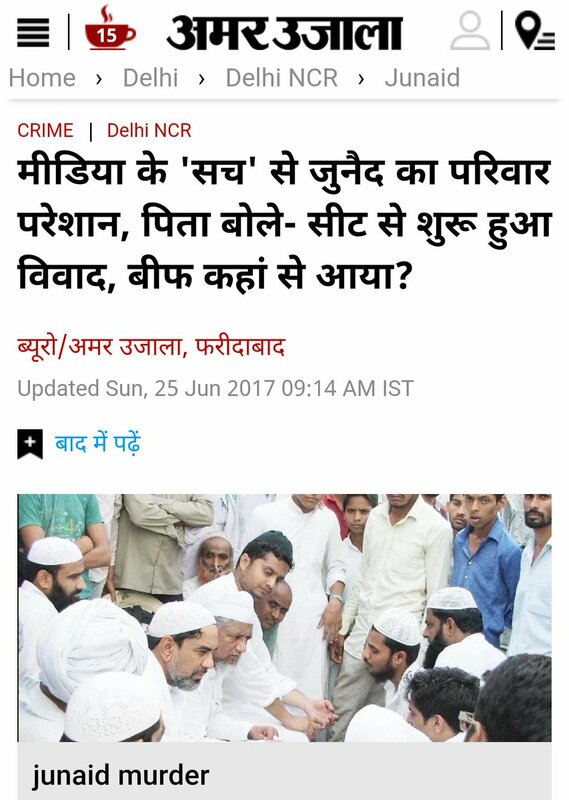 To be fair, the Times Now and Aaj Tak reports claimed that communal slurs were also hurled at the family. The Hindu report claims that the family was ‘singled out’ due to women wearing veils (burqa). However, that leads us to the question that why were such claims of communal slurs being hurled by the criminals, or the communal angle not reported in initial news articles? Sir I also spoke to family members at RML hospital at 2 am . They said it was robbery. Giving the benefit of doubt to the media that it has not invented quotes of the victim family, even though there are conflicting reports, maybe it could be similar to the Junaid murder case (incidentally crimes committed in trains in both the cases), where the fight had started primarily over sharing of seats, but later communal slurs were also thrown by the assailants. However, in Junaid’s case, if you remember, some in media had claimed that the fight had started over suspicion of Junaid and his brother ‘carrying beef’ – even though neither the complainant in the written complaint nor the accused, who has confessed to his crime, talked about that being the trigger of the fatal fight. Screenshot of original headline tweeted by Hindustan Times. The headline was later changed to “Muslim boy stabbed to death on train after argument turns into religious slurs”. Media appears to be playing a very dangerous game. The same people who accuse others of communalizing an incident, appear to do so in a very determined and devious way. Not just they can twist facts, it appears that they can also invent facts by “tutoring” the victims. 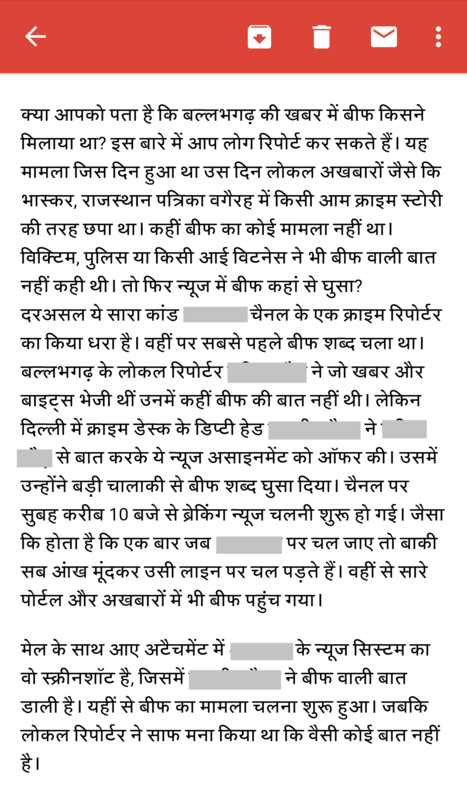 Allegation or confession of media interviews being ‘tutored‘? Wagle had made the above revelation while reacting to the news reports about local Kashmiris laughing at the plight of Hindu victims of Amarnath attack. Wagle dismissed the newspaper report and insinuated that the newspaper had “tutored” the Hindu victim to claim that Kashmiris (assumed Muslims) were laughing. 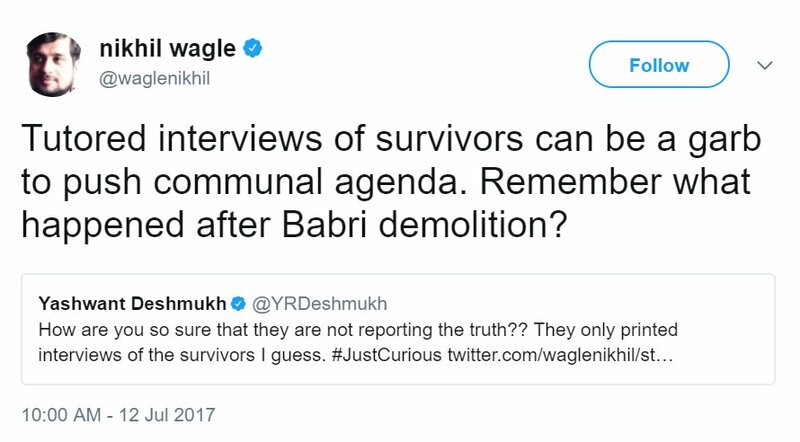 If Wagle believes that Hindus can be “tutored” to claim a communal angle, why can’t Muslims be tutored to do the same? Why should we rule out a journalist telling a Muslim victim of petty fight to claim communal angle, so that it makes spicy headlines (and possible speedy investigation of the case)? This is a possibility a senior journalist like Wagle has revealed, not something we at OpIndia.com are claiming out of nowhere. And could these be the reasons why incidents, which are initially reported as normal crime stories, suddenly take communal angles? The media could very well have been given the benefit of the doubt in this case, had it not been a habitual offender in this regard. 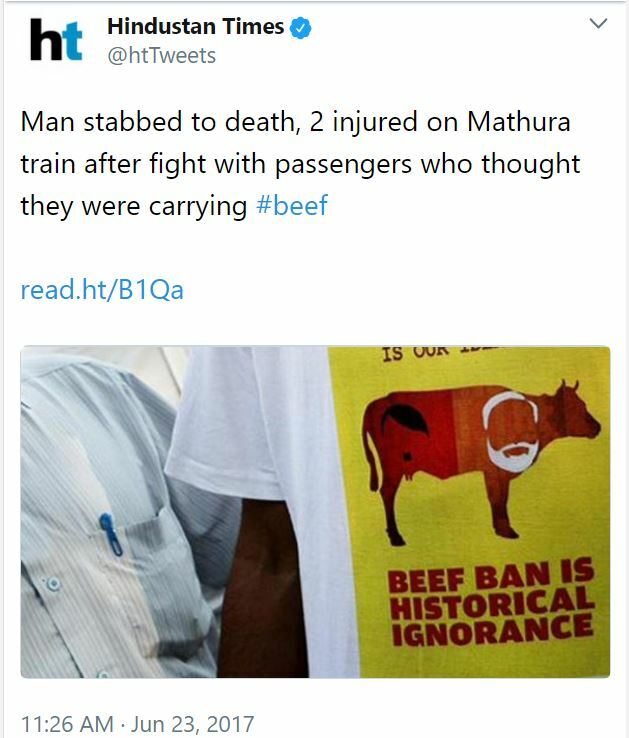 They are either complicit in it by deliberately twisting facts such as in the case of a woman allegedly being beaten up to chant ‘Jai Shri Ram’, or careless to make headlines based on unsubstantiated claims as had happened in the case of a man who claimed attack by gau-rakshaks in Mumbai. UPDATE (17 April 2018): High Court has observed that there indeed was no primary communal motive in murder of Junaid. It corroborate the fact that media inserted this communal angle to peddle its own agenda.